Paper Cutting- Girls learnt how to make paper bags, paper flowers and greeting cards, etc. Sewing- The fundamentals of cutting and tailoring was taught. Food Preservation- Making jellies, squashes, pickles, and marmalade was taught. 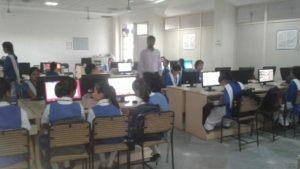 Computer literacy- The training for Word Processing, Presentation, Spreadsheet, use of internet and emailing was imparted. 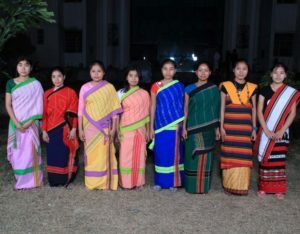 The tribal students are frequently making the product learnt at the workshops. Visitors are showing interest in these products and even buying them during their visit to the campus. 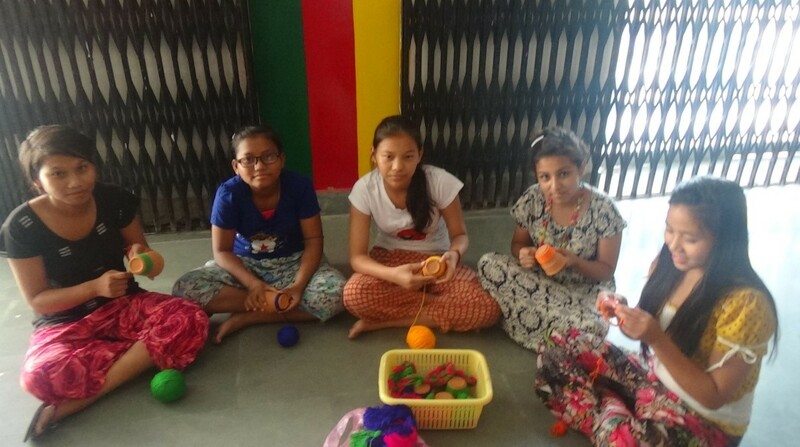 The girls are not just getting encouragement to make more of these products, but are also thinking of earning extra income to save for their higher education, while studying at this school. I had the privilege of visiting Shikhsha Bharati’s educational institute (Srimati Brahmadevi Saraswati Balika Vidya Mandir- SBVM) on behalf of IDRF on 4th June 2016. I met with the President Mr. Rajkirpal and Manager Mr. Kuldip Kasana, the Principal of the school Mrs. Alka Gupta as well as the incharge of the girls’ hostel. I would like to thank Mr. Rajkirpal and Mr. Kasana for a very warm welcome, excellent support for my visit and the hospitality extended to me. It was an inspiring visit and my wife and I plan to visit the school during our next visit to India. IDRF has been supporting SBVM for more than fifteen years. I visited the dormitory for tribal girls constructed with IDRF funding. I also got an opportunity to interact with the girls residing there who are being supported in-part through endowments and annual grants from IDRF. Of the 78 girls residing in the hostel, 12 had left this year after completing their senior secondary education. It is a sheer joy to talk to a large group of confident and energetic young girls who are full of hopes and aspirations, ready to take on challenges and odds facing many of them, and firmly anchored in a value-system that would help them realize their potential as individuals and as productive and responsible members of the society. Response to my questions on their aspirations was as inspiring as was the sparkle of determination in their eyes. They want to become civil servants, police officers, doctors, teachers to serve the poor and the society. The school has more than 2000 students studying from classes 1st to 12th, divided into 39 sections. The campus also has a play school (Shishu Vatika) and a newly started teachers’ training program (B.Ed) which has 200 students. It is an all-girls school except for the teachers training program which is co-educational. In addition to the academic curriculum required by the Central Board of Secondary Education (C.B.S.E. 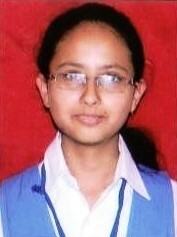 ), the school also imparts moral education, vocational skills, computers, and yoga. 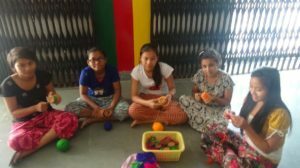 Some vocational skills such as stitching, food preservation, paper cutting, making soft toys, and jewelry were offered to these tribal students over the summer of 2016. In the most recent C.B.S.E. exams 100% students passed and the topper got 95.6% marks. Only three students got compartment and have to take reappear. 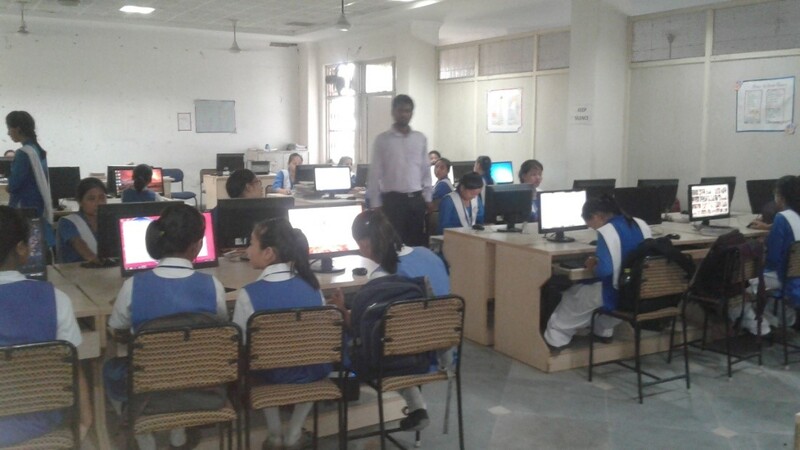 Conscious of the fact that their students have to be competitive with the students of Delhi metropolitan region for higher education and jobs, the school management pays attention to language, computers, and skill-set required for new jobs in the skill economy. The school uses latest audio-visual tools, science laboratories (reasonably equipped but need further support), and has two computer labs (equipped with more than 70 computers). For example, the school organized a program with a departmental store in Delhi to provide practical experience to students in retail management. I have agreed to connect the school with a wonderful program of innovative science education being run in Bengaluru area with financial support of a World Bank program called Development Marketplace. Girls from scheduled castes and scheduled tribes are given fee waivers. I was very pleased to see how the school leverages its facilities for the benefit of girls from poor families in the community by allowing them free access, and providing instructional support, in use of computers. Sports and physical education is emphasized and the school has a fully equipped indoor air-rifle shooting range. The instructor comes across as very enthusiastic and dedicated coach. Several prizes won by his trainees in state and national competitions is a testimony to his commitment and discovery of talent in his students. 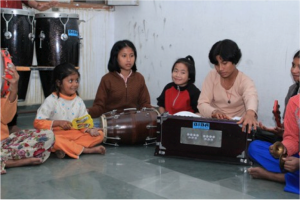 Training in music and Sanskrit language are part of the programs offered in the school. I witnessed a very good performance by children (video and pictures attached) that combined music, yoga, and Sanskrit language. Despite the monthly tuition fee (in the range of INR 600 to INR 1600) being pegged at about two thirds of the competitors, the school is able to provide fee concessions of about INR 800,000 per annum on need and merit basis. This does not include the expenses of tribal girls residing on campus. The hostel facilities constructed with IDRF funding are managed well. Currently it has 78 students from tribal areas- mostly from Assam but also several from other North-Eastern states, Jharkhand, Madhya Pradesh, and Ladakh. 12 students have recently left the hostel after passing their higher secondary education. The hostel residents also have access to library, a covered space for indoor activities such as yoga, music, gymnastics etc. Each hostel room accommodates 6 girls and they form a small mutual support group. Filters are used for ensuring clean water. Food is cooked on campus and hostel inmates eat together. I had the opportunity to enjoy a meal with them (see pictures attached) and taste the delicious pickles made by the students. Annual cost of education, lodging, and boarding of the hostel students comes to about INR 28,00,000 per annum. 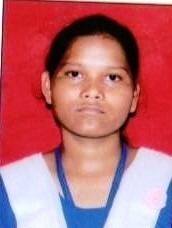 Selection of tribal girls for various such schools and hostels is done through an organization called Vidya Bharati. Enthusiasm, community spirit, and laughter of the girls was contagious. They have access to medical facilities. On a cursory glance they looked somewhat under-nourished but it could be misleading due to several factors- young age, pervasive malnutrition in tribal areas, genetically lean physique of tribal population. Nevertheless, it would be useful to pay attention to adequacy of nutrition since their long-term health and learning outcomes could be affected. I was also informed by the management that the endowment of US$6000 per student, which used to enough in the past is falling somewhat short of requirements due to reduction in interest earning and price increase. The school is able to meet the shortfall from its own resources but may have to review the adequacy of endowment. In summary, this project deserves continued support; is a very good use of IDRF funds; and should be considered for scaling up. “We the students of Banwasi Chhatravas had an excellent opportunity to learn many extra activities in this summer vacation. We learnt paper cutting and made paper flowers, envelopes and paper bags. Some students have been selected by the teacher for displaying their wool quilting products for an exhibition. Many students had even made boxes by folding & cutting paper. The products that we are making, is going to be sold to raise extra money by us. This skill that we have learnt here, will help us to start a small business to make us financially independent and lead a life of dignity”. 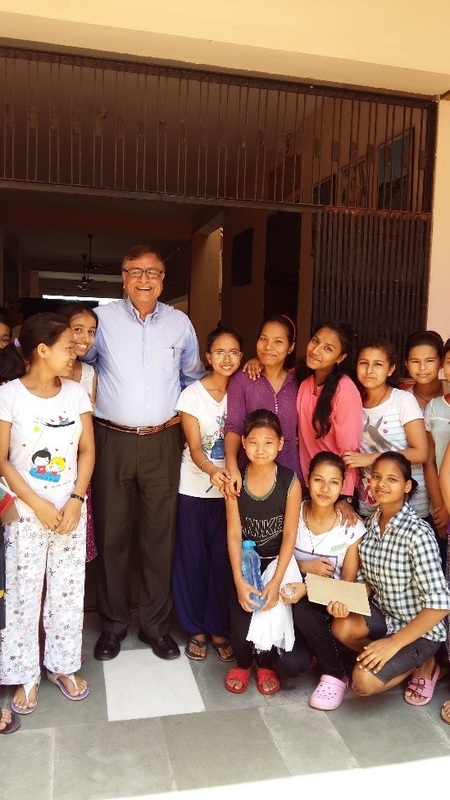 Please click on the link to learn more about Shiksha Bharati’s various educational programs and trainings for underprivileged girls and women.